This badge was issued to Haden Watne on 05 Mar 2016. 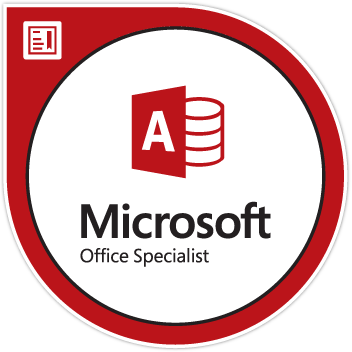 Microsoft Access 2013 Certification exam earners have an understanding of the Access environment. They understand basic database design principles and the correct application of the principal features of Access 2013. Earners can create and maintain basic Access database objects including tables, relationships, data entry forms, multi-level reports, and multi-table queries. Access earners may include small business owners, mid-level managers, business professionals, students and others.